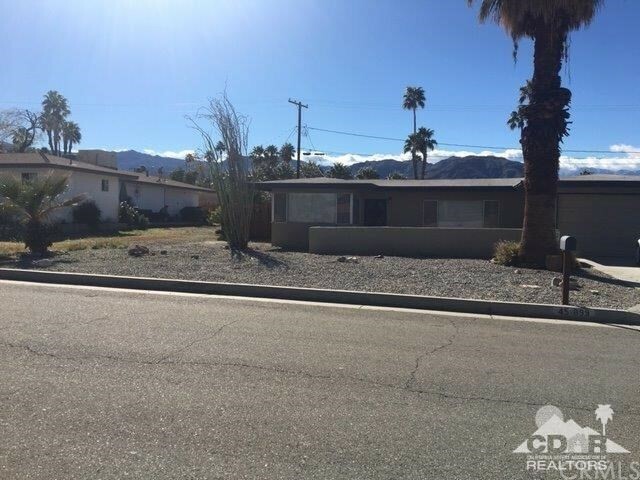 Come check out this fabulous home located in the heart of Palm Desert. Minutes from El Paseo, dining, shopping and zoo. In one of the best school districts! This unit is in the beautiful all age Silver Spur Community, one of the best priced units in the park! Gorgeous landscaping and breathtaking views! 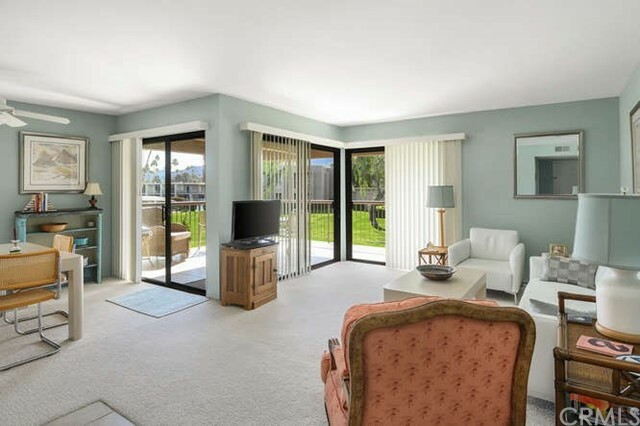 An ideal 2 bedroom/ 2 bath mid-century condo on the center green at Shadow Mountain Resort. The large patio has a beautiful view of the sunrise and mountains. Other features are "lock-off" bedroom with its own private entrance and optional in-house property management for rentals; designated carport and ample guest parking; raised ceiling with adjustable lights in kitchen and dining room. Condo is unit #274 in Centre Court Condos. Located in South Palm Desert close to the El Paseo shops and restaurants, this popular resort has a restaurant and party room, 3 HOA pools, 4 spas, many tennis and pickleball courts, and adjacent golf course. Membership required for the main pool, tennis, fitness center and pro shop. HOA dues include roof, exterior, water, earthquake insurance, HOA pools, spas (not main pool), roads, and basic cable TV. There is a laundry facility downstairs in the building next door. This will go fast! Great value! 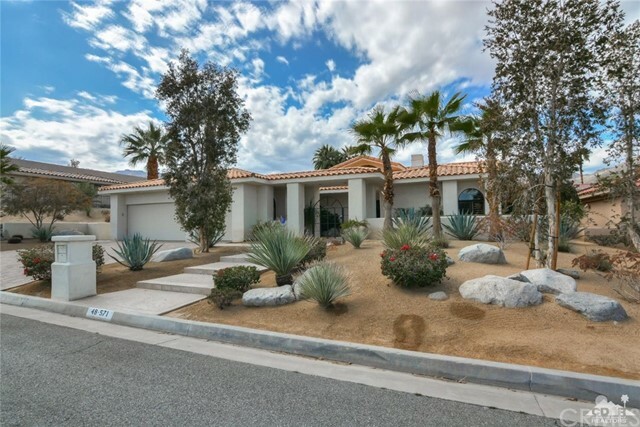 Located on an over-sized corner lot in South Palm Desert, this 4BD/4.5 BA home including an attached casita offers approx. 3,263 sq. ft. of well-designed living space. The circular driveway leads to an elegant double door entry. Step into the bright & airy great room w/ gorgeous tile floors, formal living/dining room w/ a double sided fireplace & sliding glass doors to the pool & tennis court and kitchen w/ large island breakfast bar. Spacious Master BD w/ en suite & sliders to the pool, 3 guest BD including casita all with en suites, renovated bathrooms, new carpet, plus a powder room and a laundry room. This spacious property boasts a sparkling pool, tennis court, lush & mature landscaping with a great private outdoor living space plus a 2-car garage. No HOA dues and located walking distance to the world-famous shopping & dining on El Paseo! An Opportunity To Purchase A Spacious Spanish Designed Home In South Palm Desert On Over A Half An Acre Lot. This beautiful estate features 4 en suite bedrooms and 5 bathrooms. Elegant front of home has covered semi circular driveway plus Adobe styled water feature. Open living room with fireplace has walls of glass opening to the backyard. Spacious kitchen has an oversized center island with custom granite counters and stainless appliances. Master suite with fireplace has large bathroom with separate tub and shower plus walk in closet. Three additional en suite bedrooms all have backyard access. Outdoor living space is perfect for entertaining with large newly plastered pool & spa, covered patio, outdoor kitchen, water fountain, fire pit and incredible views of the surrounding mountains. This bank owned home is priced well and ready for you to enjoy! Home also features inside laundry. Reduced and priced to sell, this charming 2 bedroom 1 1/4 bath home is minutes away from ElPaseo, churches and schools. 1674 s.f. Built in 1956, this cute mid-century is ready for a new owner. Clean...newer carpet. This home previously had been used as an investment property. As is. Don't miss out on this one. 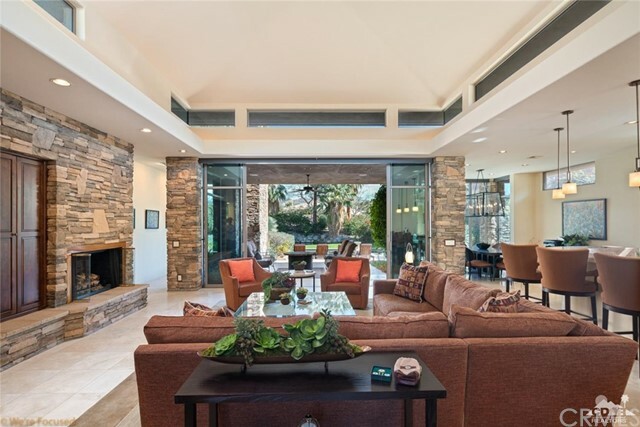 Gorgeous contemporary home in the prestigious enclave of south Palm Desert known as The Summit. This home has a gourmet kitchen with granite counters and tumbled stone back splash. Appliances include a Sub-Zero refrigerator, Wolf cooktop and exhaust hood, and KitchenAid oven, microwave, dishwasher, and trash compactor. The very private salt water, Pebble Tec pool and spa are surrounded by new pavers with bull nosed edges. Pavers also cover the front driveway leading to the two car plus golf cart garage. The front and rear yards have been professionally done with beautiful desert landscaping and a water-saving drip irrigation system. Tile throughout except for wood floors in three of the bedrooms. The fourth bedroom is currently being used as a den. A breakfast room attached to the kitchen includes a built in desk with shelving and can double as an office area. All interior doors are solid core wood for extra privacy. Quality craftsmanship abounds in this home. Make it yours today! Nestled behind the beautiful gates of Bighorn Country Club, this intensely private villa is an extraordinary breath from mother-nature. Surrounded by magnificent natural elements, both in and outside ambiences captivate your entire senses. 810 Shadow Vista is graciously offer furnished. Elevated ceilings, living room, dining room, kitchen, built-in-media center, walk-up wet bar and refrigerator are very well balanced for your extraordinary gatherings. Chef's kitchen, granite counter tops, stone fire place, media center and detached guest suite casita. Every room offers a seamless transition to outdoors with an easy push of a sliding door. The master suite offers gorgeous views, his and her walk-in closets, large spa tub and intimate fire place. Hushed waterfall, pebble tech pool/spa, outdoor fire pit, bbq, pool lounge area and captivating palm trees. Exceptionally priced and strongly positioned. 810 Shadow Vista is earth tones, natural and elegantly dominate. This is home. South Palm Desert living at its finest! Architecturally stunning home located in The Summit south Palm Desert on an over-sized lot The warmth of the entrance and stunning high ceilings as you enter, open to a entertainment patio. The eat-in kitchen is remodeled with stainless steel appliances, modern cabinets, onyz counter tops. This charming and sophisticated home features 3 bedrooms,and 3 bathrooms. The spacious backyard includes pool/spa and patio area featuring stack stone pool waterfall . The Summit offers low HOA fees of only $99/month that include basic cable, showtime & HBO.The Summit located above El Paseo and near Big Horn & Ironwood Country Clubs is one to call on today!